Did you know that pumas display social attributes? A recent study filmed them sharing their kill with other nearby pumas. So think about that when you're having your post-round curry and your foursomes partner – who couldn't hit a fairway all day – asks you for a bit of your King Prawn Chilli Masala. Especially if you're lucky enough to be wearing this marvellous PUMA jumper. You don't want to let the puma family down by getting a reputation for being the kind of person who hoards his bhajis. 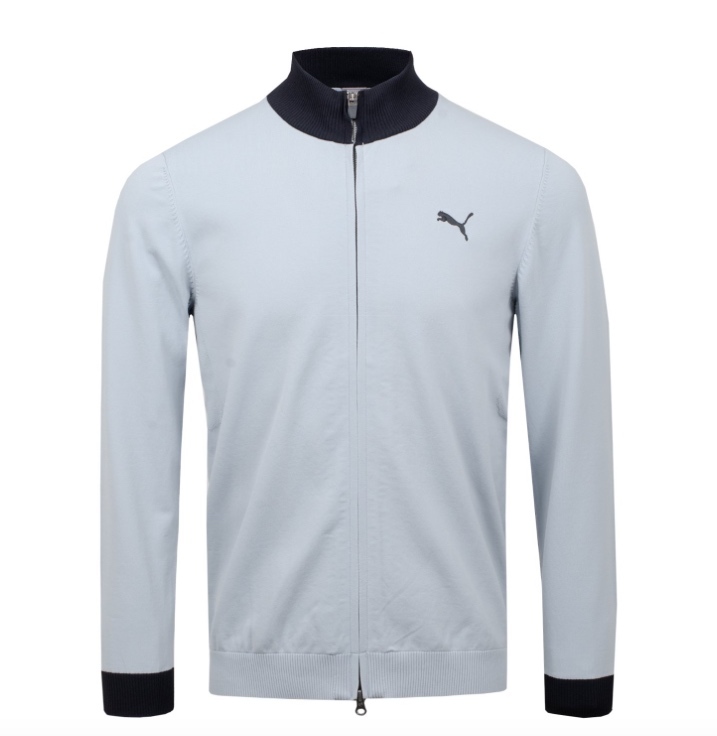 Anyway, the Wind Sweater from Puma is a technical Full zip top that has a knitted design for comfort and an unrestricted range of motion. The tip has a light wind resistant lining with contrast rib detailing on the neck and cuff and jacquard panelling down the centre of the back and under the sleeves for ventilation. Puma CAT logo embroidered in a contrast colour upon the wearer's left chest. People love penguins. They've named biscuits after them and made a lot of films in their honour. As a child, Pingu the animated penguin was my absolute favourite. As a point of interst, Pingu is also Eddie Pepperell's favourite animated character, just saying. But there can only be one Original Penguin and it's the fashion brand. The Ottoman Stripe knit from Original Penguin is a cotton crew neck knit with a textured stripe pattern running through the fabric. 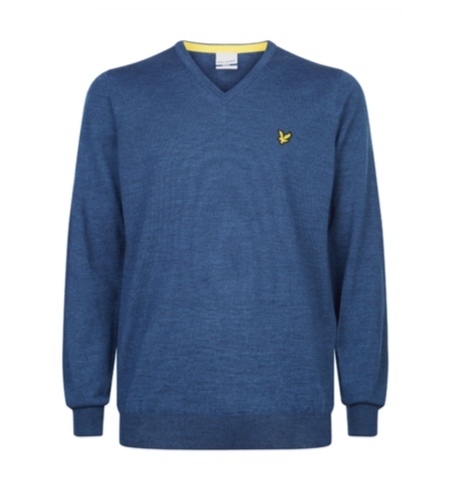 The knit has contrast tipping on the cuff and Original penguin logo embroidered upon the wearer's left chest. G/FORE is the brainchild of fashion designer Mossimo Giannulli who says of his brand: "G/FORE products aren't designed in a cubicle and tested in a factory, they're born out of a desire to express myself while playing golf and to help inject a little more fun and flair back into the game." Amen to that, Mossimo. RLX is the high-end activewear sub-brand of Ralph Lauren, focussed on tech fabrics and high performance outerwear, currently worn by PGA Tour professional Billy Horschel. The Thermocool Crew neck knit is brand new this season. Perfect for more challenging days on the course when the sun's not shining as much as you'd hoped and the wind is interfering with your trouser legs, this knit features flat lock seams for comfort and the thermocool technology will help you to maintain your optimum temperature. 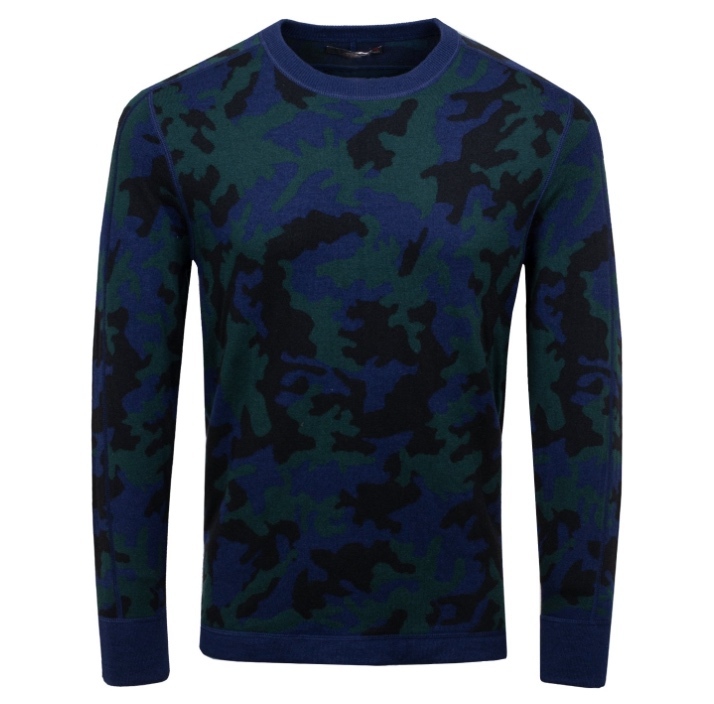 Camo is bang on trend this season, this crew neck balances fashion and function perfectly. Plus, for a camo, it's not too lairy. Johan Lindeberg's self-proclamation when he launched the J.Lindeberg brand into golf was to 'change the world'. He certainly did just that by making everyone sit up and take notice with his explorative fabrics and ambitious designs. Our choice here though is absolute vintage: The Newman tour is a classic v-neck JL sweater from featuring the signature JL bridge logo located on the left chest and tour logo on the back of the neck. A great piece to match up with a JL polo for that tour look. Polo Golf Ralph Lauren celebrates the lifestyle angle to golf – cotton mix fabrics which doff the cap to original Ralph Lauren styles. If it's good enough for Justin Thomas to wear at The Open in 2018, it's good enough for us. Not to mention being good enough for Arnold Palmer and Bob Hope who have inspired this Merino Cardigan from Polo Golf Ralph Lauren. 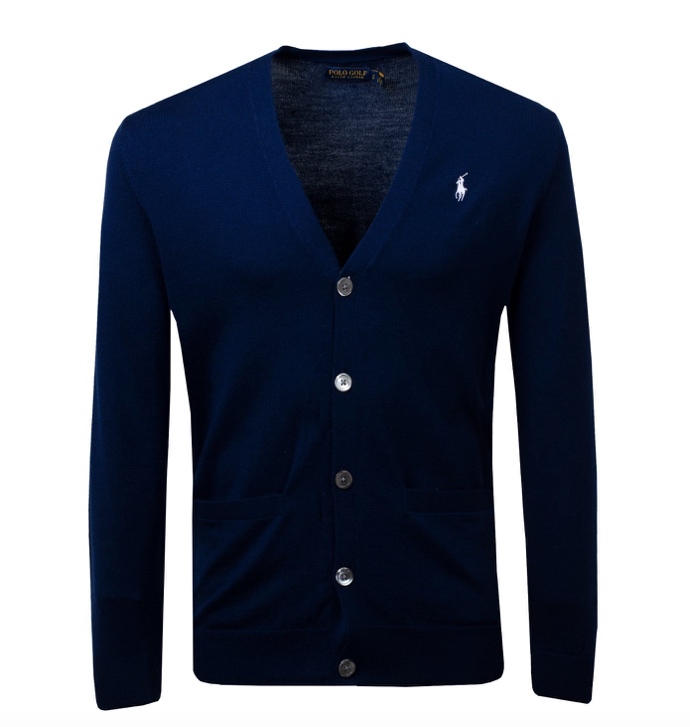 There's always been a bit of debate about cardigans, whether it's actually possible to wear one and not look like your grandad. Personally I've always been a fan and, inspired by this particular item, am forthwith going to cast aside my haute couture reservations and make this an urgent purchase. Eddie Pepperell won the British Masters wearing Wolsey. That was exactly six days after we got him up a tree for our photo shoot (coming soon). Nice lad. Thinks a lot. Very deep. No surprise then, that Wolsey would want him hitting the links in their gear. Wolsey was actually established in 1755 and is Britain's Oldest Menswear Brand. Wolsey has been a Royal warrant holder since 1935. 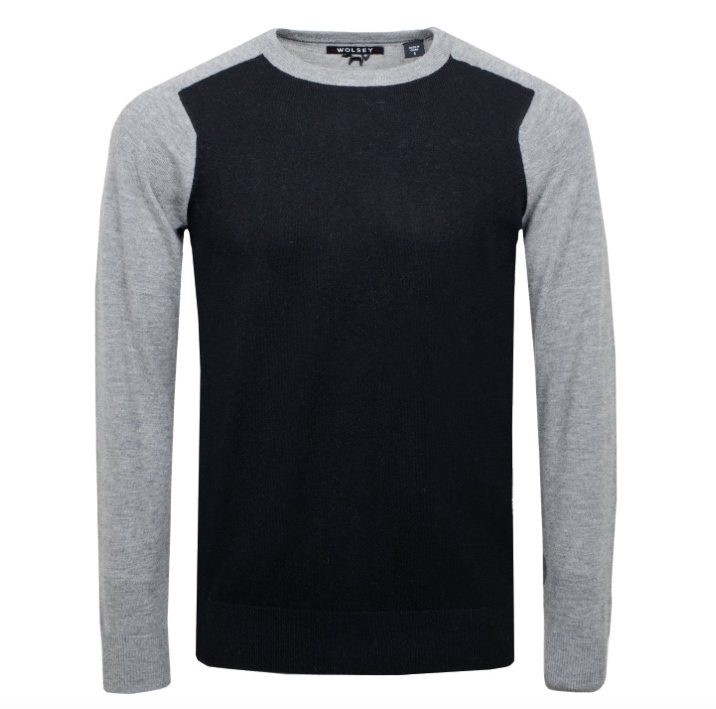 Their Contrast panel sweater is a crew neck merino wool knit with contrasting front panel. 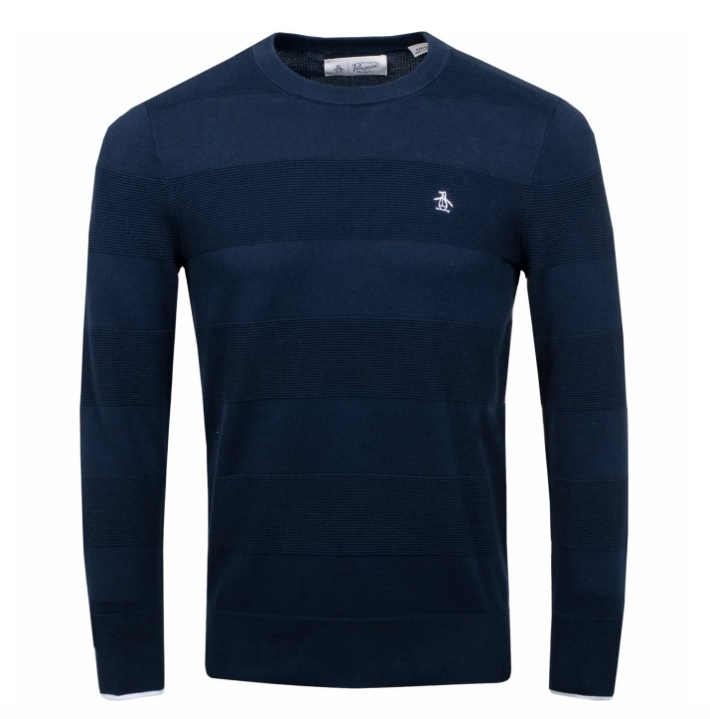 The knit features a crew neck with a ribbed collar, cuff and hem and Wolsey Fox logo embroidered in a contrasting colourway upon the back of the wearer's neck. 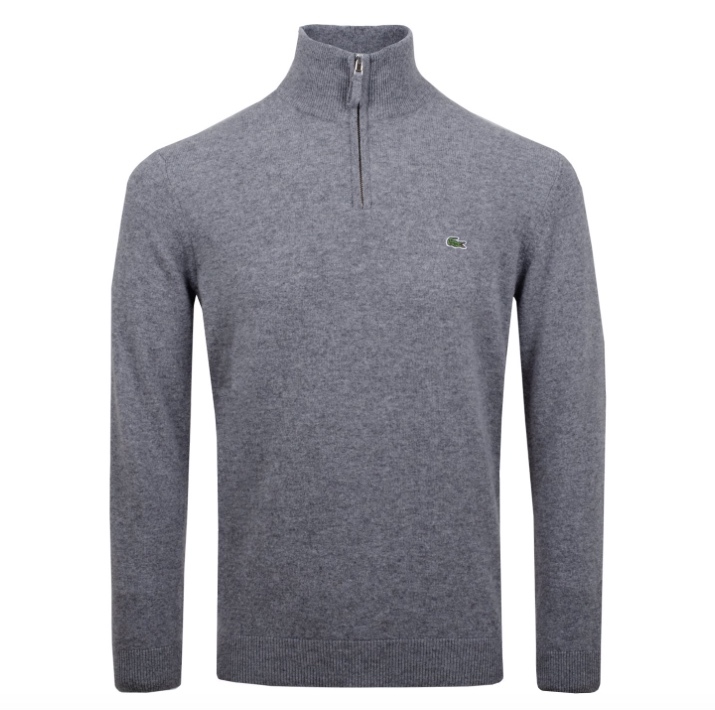 Lacoste seem to have been in and out of golf on a regular basis since GolfPunk first launched in 2004. Good to see them focussed on delivering super cool garb for golf. The quarter zip wool knit is perfect for when the weather cools down. 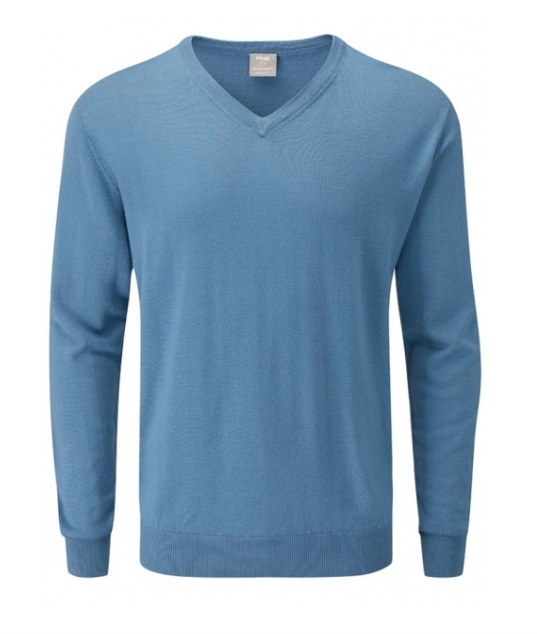 This knit has a quarter zip neck opening for easy on-off and ribbed collar, hem and cuffs. The Lacoste croc is on the left chest. I'm not saying that this is why Lacoste has a crocodile emblem but it's interseting to note that crocodiles observe patterns of behaviour by potential prey, noting that certain animals such as birds come to the water's edge to drink at the same place and time of day. The crocs place sticks on their snouts as camouflage and partly submerge themselves. When birds swoop in to get the sticks, the crocodiles then catch the birds. Pretty smart when you think about it. 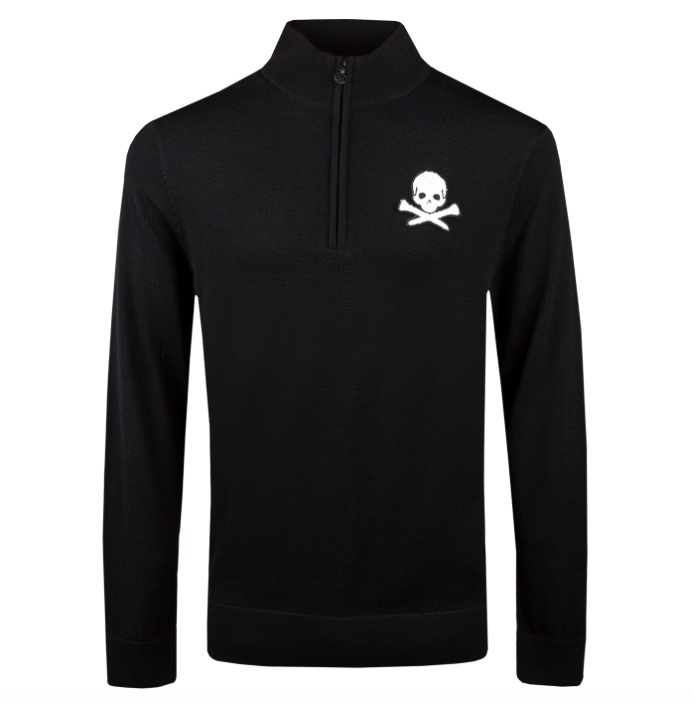 Bunker Mentality have always got one eye on the 19th hole when it comes to designing high performance golf gear, and this cool merino wool V-neck sweater will take everyone's mind off the fact that you made a dramatic and sudden last minute change to your drinks order from a gunners to five pints of Stella. 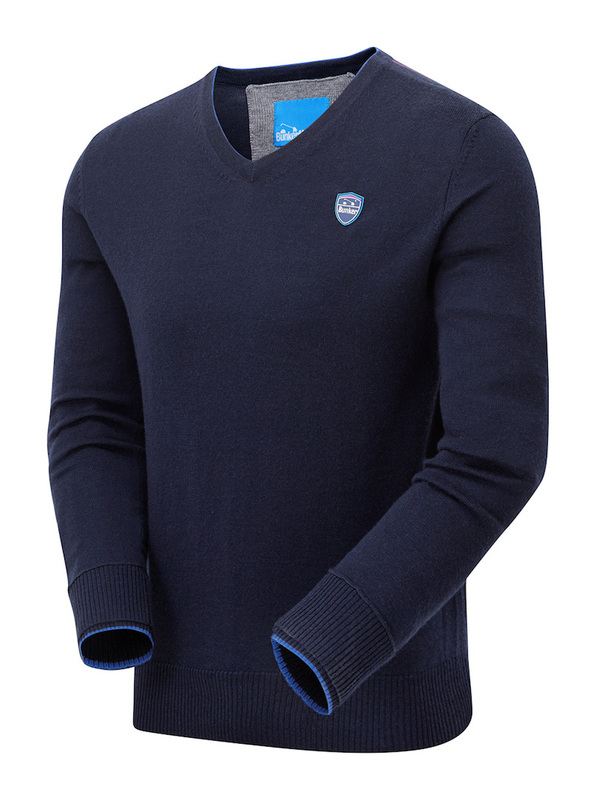 Made from 100% machine washable merino wool, there's plenty of style on offer too with an inset sleeve with a double cuff to keep it fitted during your swing with a matching blue tip on the edge, A flash of colour on the back shoulder in pink and bunker blue finishes the look making it a great lifestyle piece. It was 1985 when Boss (formed in 1925 by Hugo Boss) finally got into golf with the sponsorship of Bernhard Langer. Now they boast Henrik Stenson, Martin Kaymer, Ben An and Dominic Foos (young German prospect) as ambassadors. 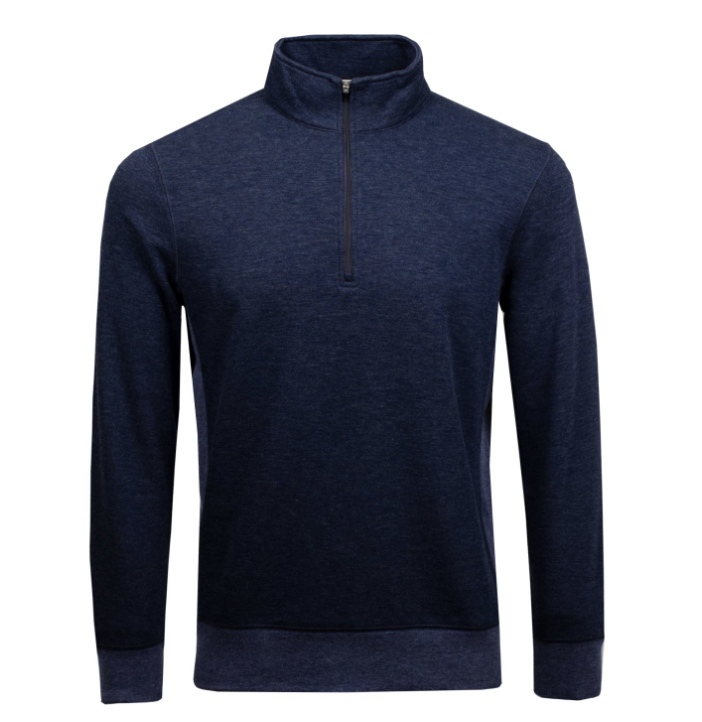 Their Zelchior Pro jumper is a luxurious piece that can be worn on and off course with ease. 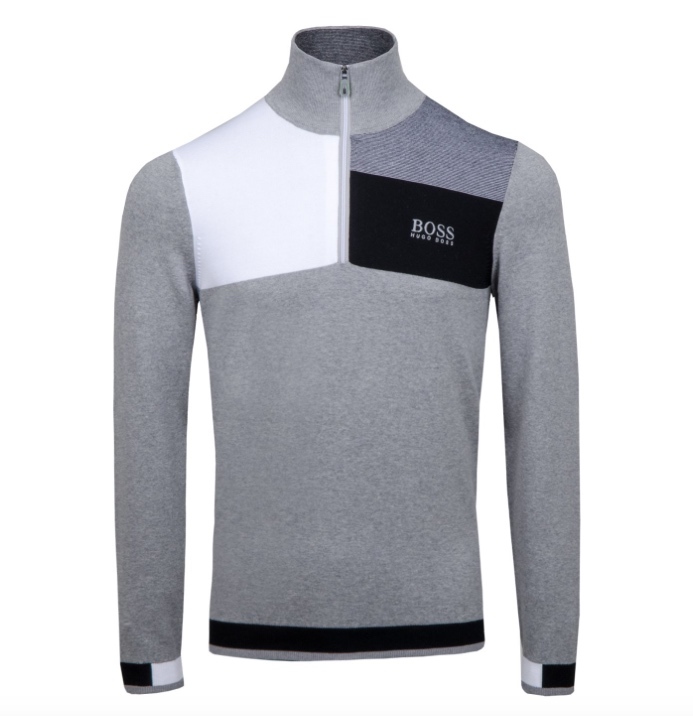 It features a new colourblock design and quarter zip mock neck. The BOSS pro logo can be found on the left chest and centre back of the neck. This top is teflon coated to help repel water and will protect the wearer during a light shower whilst out on the course. We're back in for more from JL. We love the bold, 'here I come', look and feel of the Joel knit jumper. 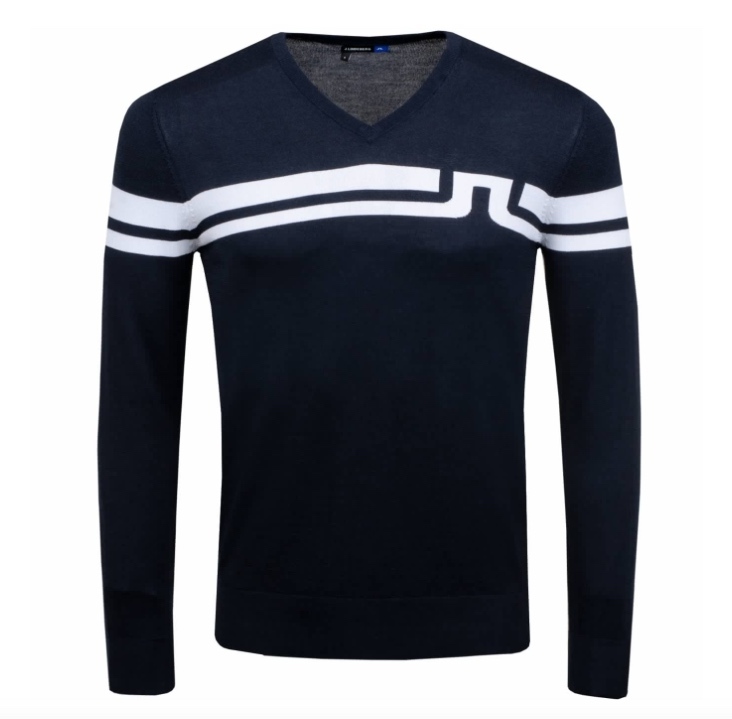 It's brand new for this season and features a V-neck and jacquard double stripe branding across the chest. 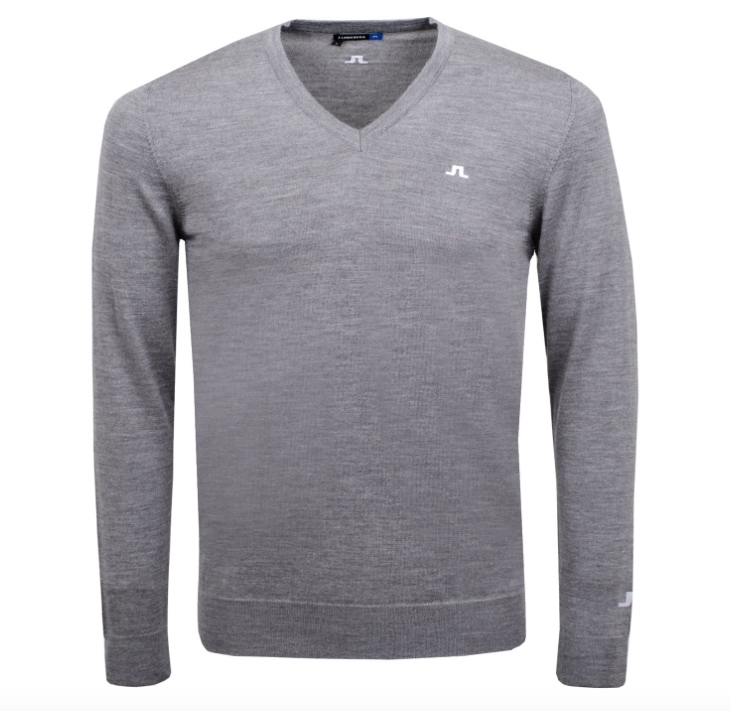 This knit has coolmax technology which helps to wick mositure away from the body to keep you comfortable while on the course. In 2001, Dunning revolutionized the golf industry by launching the very first golf apparel line comprised exclusively of performance fabrics. So what are they're up to in the golf sweater department? The Performance Quarter Zip Sweater is a brushed technical knit with a wool content to give the top a warm, soft feel. A luxury top that features contrast coloured cuffs, bottom hem and side panels. DUNNING embroidered logo on the back of the wearer's neck. adidas made headlines recently with the launch of their GoTo jacket which they launched in a sky diving simulator! Their Autumn/Winter jumper offering is the Blend crew which is a soft, rich cotton-nylon sweater blend for warmth and comfort. Engineered 3-stripes branding on right chest. They've been in the business of style for over 140 years and have a history steeped in invention and craftsmanship. Today they're famous for creating edited, versatile collections that blend obsessive attention to detail with quality that can be trusted. Their distinctive design hand-writing extends far beyond the Eagle; they match innovation with function to create clothes that are as exciting as they are timeless. In 2016, Armani's estimated sales were around $2.65 billion, so it's a moot point whether they really need you to buy this jumper or not. 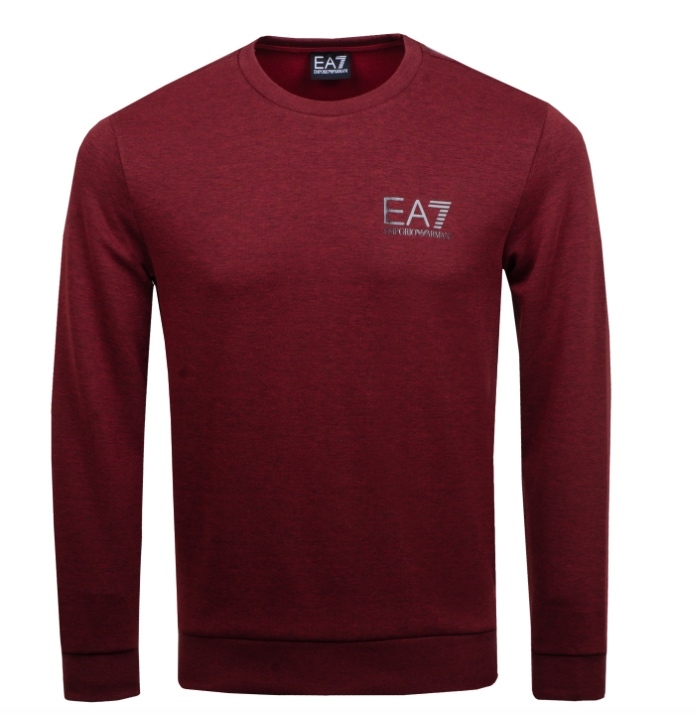 The Core Sweat EA7 is a double knit crew neck sweatshirt that features a ribbed collar, cuff and hem. 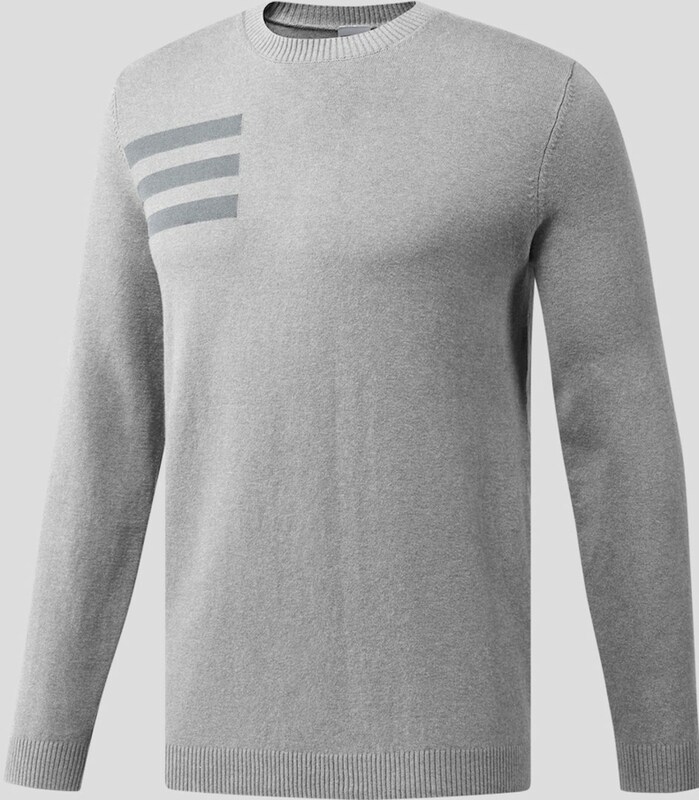 The knit includes a signature EA7 stripe down the back of the neck and transferred logo upon the wearer's left chest.